Is Sean Spicer out as White House Press Secretary? Bloomberg has reported the administration is deciding whether to move Spicer into a "more senior role focused on strategy." White House Press Secretary Sean Spicer is set to take on a new role overseeing communications for the Trump administration, Fox Business reported on Monday. Spicer would likely hand off duties for the daily briefings, but continue to manage the communications and press office, according to the network. Spicer has served as press secretary since January when President Donald Trump was sworn into office. Bloomberg has reported the administration is deciding whether to move Spicer into a "more senior role focused on strategy" and find another spokesperson. The dual role of managing communications and handling briefings since the departure of former White House Communications Director Mike Dubke has left Spicer feeling "overtaxed," according to Bloomberg. Politico reported Fox News contributor Laura Ingraham was floated as a replacement for press secretary, while Daily Mail editor David Martosko was considered for communications director. However, New York Times reporter Maggie Haberman tweeted that Martosko had met with officials about a different role. Reuters also reported on Monday afternoon that the White House is considering its options, but no move is "imminent." 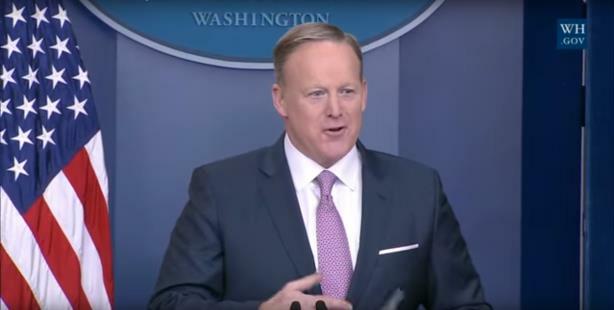 Poll: Have we seen the last Sean Spicer White House press briefing?